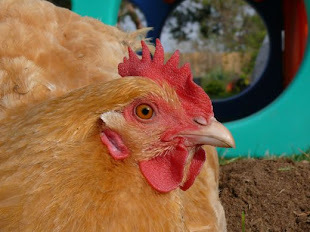 Chicken Blog: Time to Hitch Up Our Sleigh! Time to Hitch Up Our Sleigh! Couldn't resist taking a snap of a blue chicken. I think my favorite Christmases are the ones when we all spend time together and indulge in new activities. This year we had the pleasure of sharing the fun with Ruth, when she joined us for a day of music and holiday merriment Downtown. As for hitching up my sleigh... well, goodness! Today is December 23rd and there is still lots to do. Not because I feel pressured to do too much or because I feel obliged. We just have plans and errands and the sun is shining again, for the moment, so we gotta go, go GO! Geoff is working loooong hours and we haven't seen him since our Sunday together at the House of Blues and Holiday Pops. We want to have everything nice and ready before he comes home for Christmas day. So, this post is going to rely heavily on pictures... they tell the story of our fun day, getting our annual dose of cultural exposure in the big city. Big cheers for House of Blues' Gospel Brunch and another salute to the San Diego Symphony Holiday Pops! Peace to You. Good Will Toward All. We hope to keep Christmas with us all through the year. Such a beautiful family. It's a real joy and priviledge to be able to share your lives and adventures. You touch my heart so deeply at times that I am unable to hold back my tears. Thank-you so much Natalie, Geoff, William, Alex, Max and Maria. Peace and love to you. LOVE the blue chicken! Merry Christmas to you and yours, and best of blessings throughout the new year! love the chicken...and sharing your family...merry Christmas to you and yours..
Merry, Merry Christmas to you and your family, Natalie!! !